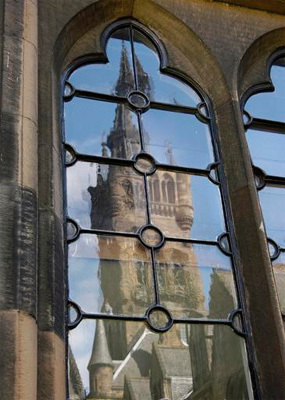 The early University was the creation of Roman Catholic churchmen, and it was staffed and supported by the Diocese (subsequently the Archdiocese) of Glasgow for centuries. The first bishops and archbishops of Glasgow were its Chancellors; classes were held in the early days in the chapter house of Glasgow Cathedral; and churchmen were among its first benefactors. In 1992 the Archdiocese provided the University with an endowment for the St Kentigern Chair for the Study of the Child.